I had the privilege this past weekend of joining some LOVELY ladies for the AndSewWeCraft Retreat. It was just awesome to get away and actually get some projects done! I took a mix of projects with me and found that I really only wanted to get the sewing projects done. But that's the beauty of a retreat I didn't need to do what I didn't want to do! I went up Friday afternoon and came home Sunday afternoon. I managed to finish three projects by the end of the retreat and it was sooo wonderful not having to worry about anything but sewing. 1. 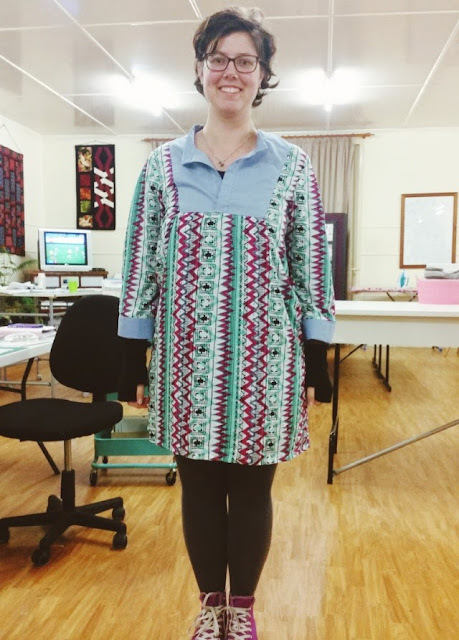 I finished a dress and I'll be talking more about the process that went into this one over on andsewwecraft this month. But I have to show you guys the finished piece! Sorry about the gloves they make it look like I have no arms. But it didn't stop raining all weekend and it was really cold! I wore this dress home on Sunday and everyone who saw it was really happy with how it looked on me. 2. 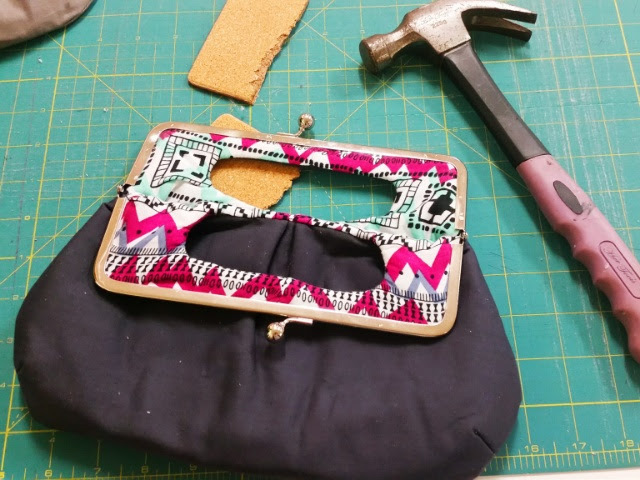 A handbag to match the dress, this wasn't planned but when they were running the class I just couldn't resist doing it and learning how to put hardware onto a bag. It's not as scary as it looks! Although my fingers may disagree as that hammer hurts.... but that isn't the bags fault. This bag pattern if anyone is interested can be found Here. It's currently on special but I don't know how long for. 3. A toy elephant for my sister. This was made using a pattern from funky friends factory and if you've been around my blog long you know that I love her patterns for a reason and this one was no different. 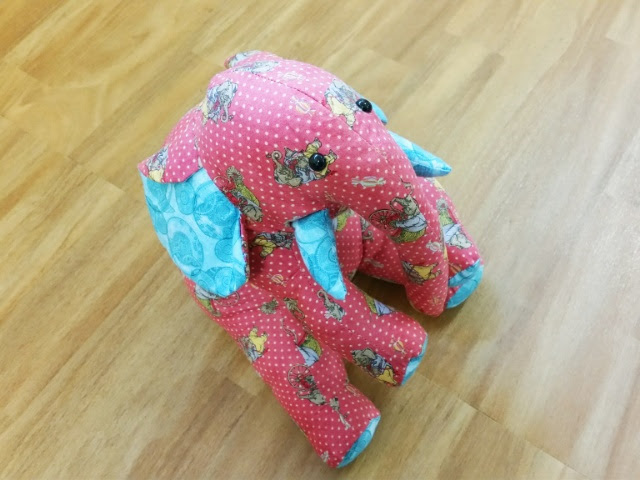 After a couple of hours sewing the really easy directions I had an elephant to take home to give to my sister. She has a baby shower to go to in a couple of weeks. So although the weekend was cold and rainy and altogether unpleasant weather (if you guys get news about Australia's weather this past weekend you'll understand! It wasn't the best time to be out) But we were safe and warm enough and just had an absolute ball!!! I hope you managed some time this weekend to craft! That sounds like a fun weekend....and very productive too! yeah it did end up being productive and I really got in with a goal and finished them. Excellent sewing projects! It's always fun to go to retreats. This is the first retreat I've gone to but this won't be my last one! It was definitely a relaxing weekend away.